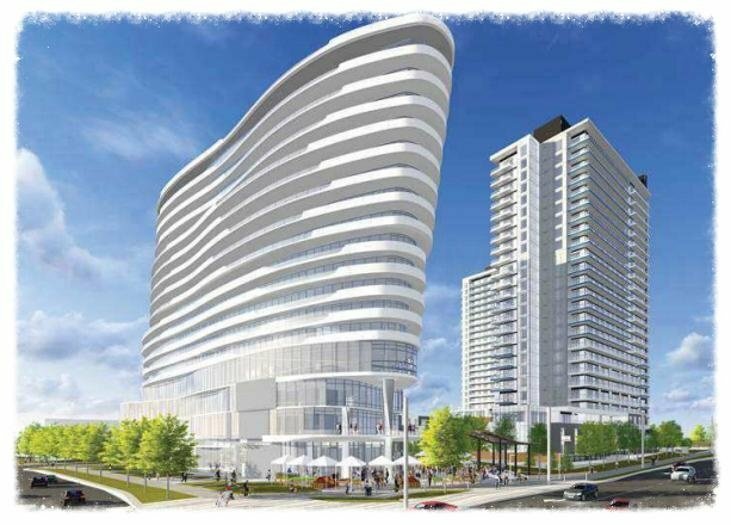 THE ARC by Concord Pacific, A premium luxury residence located in the North False Creek . This 1 bedroom, 1 bathroom + Den home includes hardwood flooring, top of the line Miele appliance package, kitchen and closet organizers, 1 parking stalls and 1 storage locker. The ’C’ plan features an elongated balcony to soak in the Southwest marina and city views, open concept living are a joy to come home to. Bathrooms feature additional lighting, Kohler & Grohe fixtures, and marble flooring and tiling. 24 hours concierge, state of the art fitness facility,a cappuccino lounge for an extra boost to your day or to socialize with friends, sauna, steam rooms, heated stone loungers, hydropool for tired muscles, and see through bottom swimming pool make up the Sky Spa. A grand lounge to entertain friends or host meetings, a touchless car wash in the underground, workshop, and all parking stalls having an EV hookup.